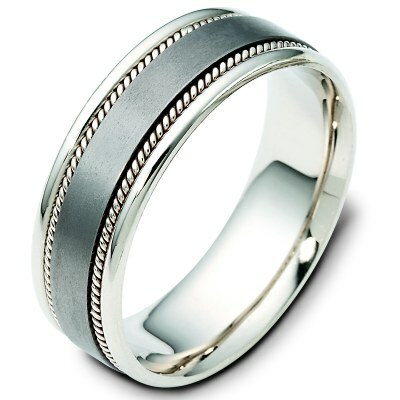 110551TG Titanium and 14 K Gold Wedding Band. 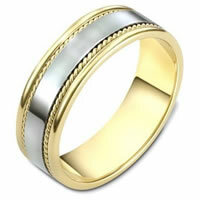 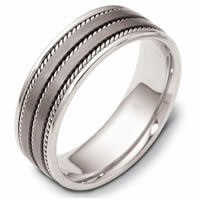 \ HandCrafted Bands > Titanium-Gold > Item#110551TG - Titanium and 14 K Gold Wedding Band. 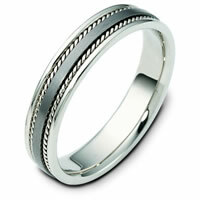 Item #110551TG - Titanium and 14 K Gold Wedding Band. 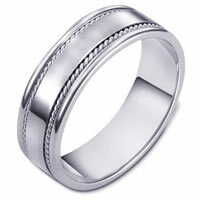 14 kt white gold and titanium , brushed center comfort fit, 7.0 mm wide wedding band.